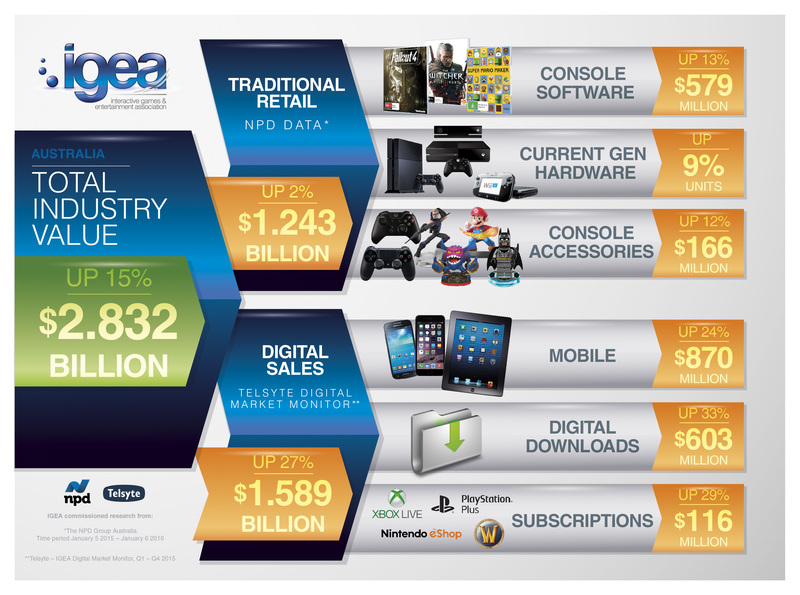 Home > IGEA News > Infographic – Total value of the Australian video games industry in 2015. Infographic – Total value of the Australian video games industry in 2015. We created this Infographic to represent the total industry sales for the video games industry in Australia in 2015. You can download the infographic here.